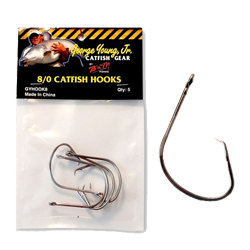 George Young JR, 8/0 catfish hook, super strong! Super sharp! And the offset is sure to hit its mark.